Have you been working for years and now can't return to work because of chronic pain, fibromyalgia, a bad accident, a psychological disorder or a bad back? Do you have your own private disability policy, or a disability policy through work or your union that you can't make work for you? We know what it's like to work one day, and be unable to work the next. We understand the pain and financial pressure that you are going through; along with the frustration of the denials from the insurance company. We can help you with your disability claims. We have handled countless Short Term, Long Term, Mortgage and other Disability Claims on behalf of our clients. We know how to get our clients the results they deserve. We know how to get the insurance companies to pay our clients on their disability policies. We have experience dealing with all major North American and International Disability providers including but not limited to ACE/INA, Aetna Life, AIG, RBC Insurance Company, ING, Canada Life, Crown Life, Co-operators Insurance, Desjardins Insurance, Industrial Alliance, Premium Insurance, Blue Cross, Manulife Financial, Maritime Life, Sun Life, Great-West Life, London Life, and Unum Canada. Insurance companies work hard to defeat your claims. We work harder to get you what is owed to you. Regardless of the type of disability insurance you have, contact us today for your free consultation with one of our disability lawyers. Things the Insurance Companies DON'T want you to know! You have the right to sue, but this right is not an indefinite right. There are tricky timelines and limitation periods which need to be protected. Only a personal injury lawyer will know how to properly protect your right to sue and protect your interests. You have the right to a copy of your insurance policy along with a complete copy of your file from the insurance company, including all of the insurance adjuster's notes and records before litigation has commenced. 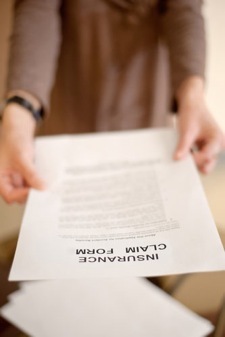 You have the right to appeal a denial to benefits made by an insurer. You have the right to pick the doctor or rehab workers who the insurance company assigns to you. If you don't like the people the insurance company has picked for you; you have the right to get new people working with you. You have the right not to speak or meet with the insurance company if you don't want to do so without legal representation. Don't be forced to do something you don't want or don't feel comfortable doing. Get a personal injury lawyer to guide you along the way and protect your interests. You have the right to a lawyer, even if you think you cannot afford a lawyer. 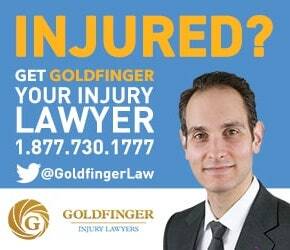 Goldfinger Injury Lawyers does NOT refuse clients based on their inability to pay. On the contrary, we actually take most of our cases on a contingency basis, meaning you don't pay until your case settles. "I used to work for a media company in downtown Toronto. I biked to work everyday. I was riding my bike in the curb lane when the driver of an SUV made a right hand turn directly in front of me. I went flying head first and hit the SUV. I lost consciousness and was taken by ambulance to Sunnybrook Hospital right after the accident. I sustained a head injury, fractured my ribs, right arm and my ankle was crushed under the tire of the SUV. I was kept in a hospital setting for close to 3 months. I couldn't walk on my own, clean myself, feed myself or clothe myself without help. Brian Goldfinger and his team at Goldfinger Injury Lawyers made sure that I received the care and treatment that I needed. They arranged for a nurse to look after me 24/7. They made sure I was getting income from the insurance company while I was not working. They made sure that my family members got paid for caring for me. The insurance company put up a big fight about how much my case was worth. But Brian and his team put up an even bigger fight to help me and my family secure a big money settlement. I can say without any hesitation that the best decision I've ever made was calling Brian and getting Goldfinger Injury Lawyers to work on my case. I would recommend them without question. Brian and his team are simply the best. There is no dispute."